A quick fyi: Last year, NASA released 14 Free Posters That Depict the Future of Space Travel in a Captivatingly Retro Style. 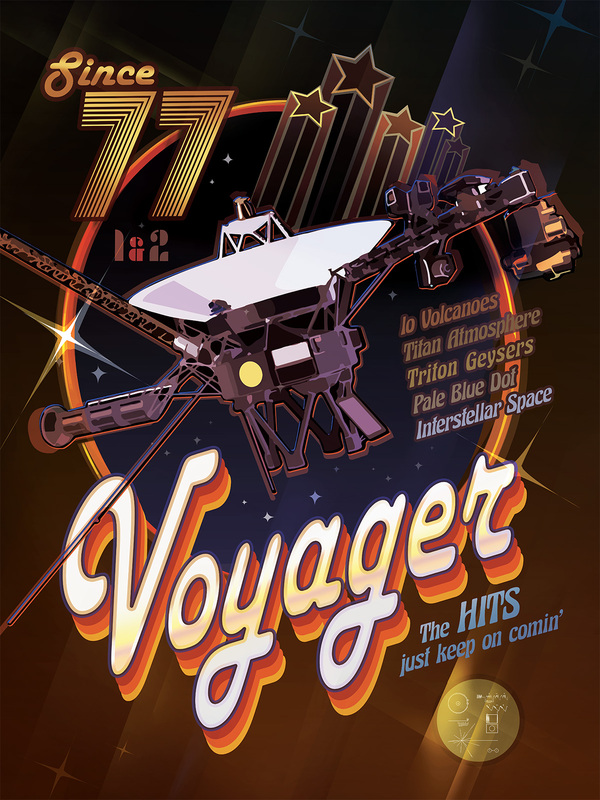 Now, on the 40th anniversary of the Voyager missions (Aug. 20 and Sept. 5, 1977), the space agency has issued three attractive new posters to celebrate our "ambassadors to the rest of the Milky Way." All are free to download and print here. 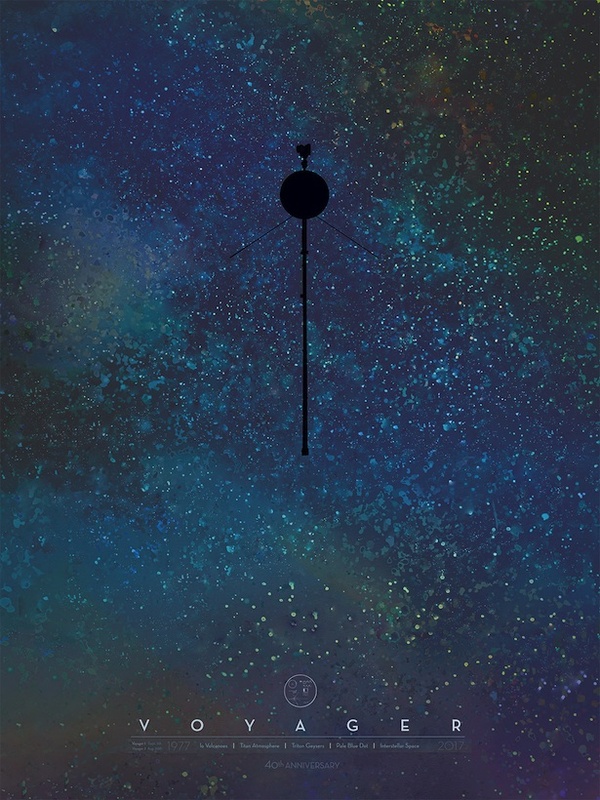 Writes Space.com: "One of the Voyager posters is an image of a starry night sky [see above], and another advertises the mission using the flamboyant design style of the 1970s, the decade when the probes launched. 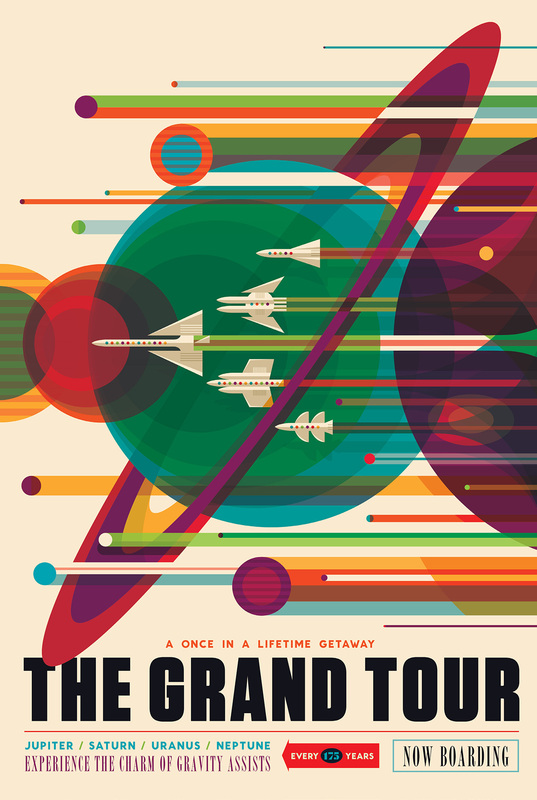 A third poster honors the probes' 'grand tour' of the planets, on their way to the edge of the solar system." Happy downloading!